Del went to the Lindsborg public schools for ten years. Presumably he worked to help contribute to the family finances for several years after leaving school. It was in 1922 that he first began to play professional baseball, pitching in Class C for the Salina Millers of the Southwestern League. The team’s home field was Oakdale Park in Salina, Kansas. Only two of the Millers ever made the major leagues. Bill Bagwell hit .402 that year and led the league in base hits and batting average; he played in 92 games for the Braves and Athletics in 1923 and 1925, respectively. Lundgren was 9-21 for the last-place Millers, his .300 winning percentage slightly worse than the team’s .338 percentage. Lundgren’s earned run average was 3.92 in 271 innings of work. He appeared in only two games in all of 1923, and was 0-1 for Salina. He spent most of the year with the Flint Vehicles (Michigan-Ontario League) and was apparently looked over by the Pittsburg Pirates at the end of the season, but saw no action. The Washington Post reported that he “shows much improvement. He has speed, a curve, and a change of pace. "Pirates manager Bill McKechnie is mighty well pleased with the improvement in his work and little doubt remains that he will stick with the club.” iii In April 1924 Lundgren, a right-hander, found himself pitching in the big leagues for the Pittsburg Pirates. He was small in stature, being 5-foot-8 and weighing 160 pounds. Lundgren’s first game was a start, one delayed 45 minutes by rain, on April 27, 1924, against the Cubs. He pitched reasonable well, giving up six hits in 5 1/3 innings, relieved by Arnie Stone. The four runs cost him the loss in the 4-2 game. It was the only start he ever had in the National League. Lundgren was called upon in relief seven times during May. In only one of his eight appearances did he succeed in not being touched for an earned run. When he left for Birmingham to pitch the rest of the season in Class A ball, he’d recorded a 6.48 ERA in the 16 2/3 innings he’d pitched. His last game was where he’d begun, at Wrigley Field, with three earned runs in 2 2/3 innings, including a hit by pitch and a wild pitch. He did pitch in an exhibition game on June 3 in Williamsport, Pennsylvania, one of three Pirates pitchers who beat the Williamsport New York-Penn League club, 10-6. He was optioned to Birmingham and was 7-14 with a 5.32 ERA there. In September, Pittsburg assigned his contract on option to the Williamsport club. He received more praise as the spring season loomed, including a large photograph in the February 25 Globe under the headline “Recruit Pitcher Counted On to Bolster Up Red Sox Box Staff.” At least one fan got into print comparing Lundgren to Walter Johnson, and sportswriter Melville Webb of the Globe wrote from spring training in New Orleans, “Lundgren, to date, is the ‘find’ of the new pitchers. He ought to make good.”vi Playing against Birmingham on April 1, however, he was hammered for six runs. He was the fourth pitcher the Red Sox used on Opening Day on April 13 at Fenway Park. He pitched just one inning and gave up one run, the 12th run the Yankees scored in their 12-11 win, but Howard Ehmke got the loss. The run came in when Babe Ruth doubled, was bunted to third, and then scored on an infield single by Tony Lazzeri. Lundgren only started two games – a 5-1 loss to the Tigers on May 14 when he lasted seven innings, and his last game of the year, 1 2/3 innings in St. Louis on September 11, when he was relieved despite not giving up a hit. (He walked six batters and was said to be “wild as a march hare”.vii) His record for the year was 0-2, with decisions in the May 14 game and a 9-8 loss to the Yankees on May 26. He appeared in 18 games, throwing 31 innings for manager Lee Fohl with an earned run average of 7.55, by far the worst on the team for anyone who had thrown three or more innings. Bob Quinn brought Lundgren back for 1927, to pitch for new manager and former Red Sox catcher Bill Carrigan. The explanation? Mel Webb of the Boston Globe answered: “[F]or some reason, Lee Fohl did not give him much of a chance last year.”viii Perhaps the 7.55 ERA was due to under-utilization? Carrigan used him in 1927, asking Lundgren to pitch 163 1/3 innings, with 17 starts. He seemed to pick up where he left off, giving up three earned runs in two innings (including a steal of home as he threw a ball to first on an attempted pickoff) in his first appearance on April 22. His first start was in Detroit on May 7 and he won, 5-3, with eight innings of work, his longest stint to date. His second start was a 7-0 shutout, a three-hitter against the Indians in Cleveland. On June 18, he shut out the Indians in Boston, 5-0. Oddly, by season’s end, four of his five wins were against Cleveland – despite giving up seven earned runs in one and five in another. He didn’t pitch at all in August, but appeared in eight September and October games and finished the year with a 5-12 record. His 6.27 ERA was once more worst on the Red Sox, though this time one would need to set the bar to exclude pitchers who had thrown fewer than 15 innings. At the plate, he’d failed to get a hit with the Pirates or the 1926 Red Sox, but was 7-for-44 with the 1927 Sox (.159), including two triples as his only extra-base hits. He drove in one run in his career, in a loss, and scored six times. After the season, Lundgren was traded in December to the Nashville Volunteers as partial payment for outfielder Doug Taitt, the fourth player sent to the Vols for the hard-hitting Taitt. His record was 3-14 with a 6.64 ERA. The Vols finished in last place in the Southern Association. He pitched for Nashville again in 1929 and had his first good year in organized ball: 18-10 with a 3.70 ERA, as the team jumped all the way up to second place under manager Pants Rowland. 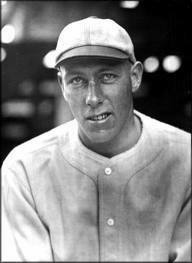 In 1930, Lundgren pitched for the American Association’s Minneapolis Millers but had another disappointing season, going 1-6 with a 7.67 earned run average in the first half of the year. On July 28, the Millers sold his contract to the New Orleans Pelicans. The brief Associated Press story said he “failed to round into form this season.”ix There is no indication that he ever pitched for the Pelicans, reportedly suffering from a sore arm. It was his last year playing professional baseball. i He himself provided the birth year as 1900 on the player questionnaire he complete for the Hall of Fame in 1960 and some contemporary newspapers also gave 1900 as the year of his birth, but later accounts such as the program for his funeral service cite 1899. There was, incidentally, another Carl Lundgren with the same middle initial who pitched for the Chicago Cubs in the first decade of the 20th century, but he was a native of Illinois and 15 years younger than Del’s father Carl. ii Census information presents some confusion as to Del’s mother’s name. In 1900, she was Ellen, in 1910 she was Adla, in 1920 she was Elna, and in 1930 she was Ella. His obituary presents his mother’s name as Ella (Nelson) Lundgren. v Boston Globe, January 5, 1926. The article rated a headline: Calls Lundgren Good Prospect.